Canon 6d modified and TEC140 @f5.3. 14x4minutes at 3200ISO. 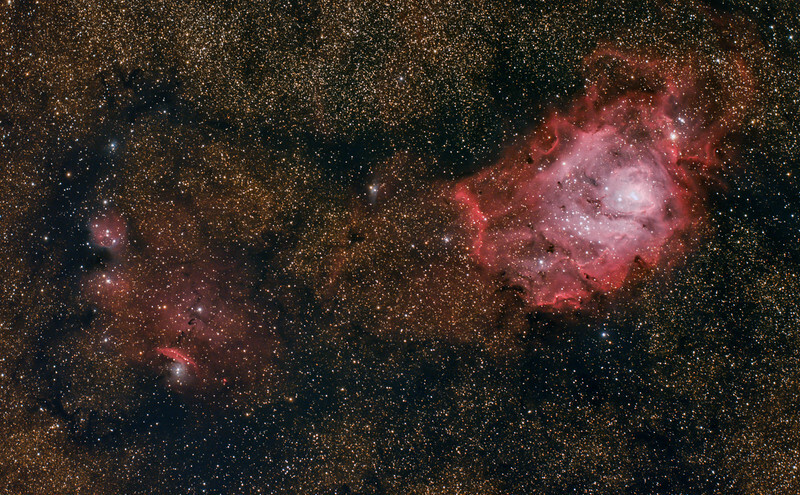 Captured with BYEOS,calibrated and pre processed in Nebulosity and CCDStack, final work in Lightroom 4 and Photoshop CS6. Taken By Lynn Hilborn, WhistleStop Obs,Grafton, Ontario on July 9, 2015.